Our vibrant events and activities help make Havant, Hampshire and the surrounding region a better place to live. We believe that participating in live arts and connecting with local heritage can help to improve everyone’s quality of life. We are here to serve the whole community, and want it to be easy for everyone to access our services and to try the experiences we offer. We will always aim to exceed people’s expectations of us as a small arts and heritage centre. This is demonstrated through everything we do, from relationships with our customers to the quality and integrity of our programme and exhibits. The Spring Arts & Heritage Centre provides arts and cultural activities and services across the Borough of Havant and beyond. The organisation is based in the old town hall building in Havant and extends its reach from this hub across the region through a variety of projects and activities. The Spring came into existence in 2009 when the former Havant Arts Centre and Havant Museum merged. The Spring Arts & Heritage Centre is a registered charity and is governed by a board of trustees who in turn are elected by the charity’s membership. The trustees delegate day-to-day management to a Director and a team of staff. The organisation has a dedicated team of nearly 100 volunteers. 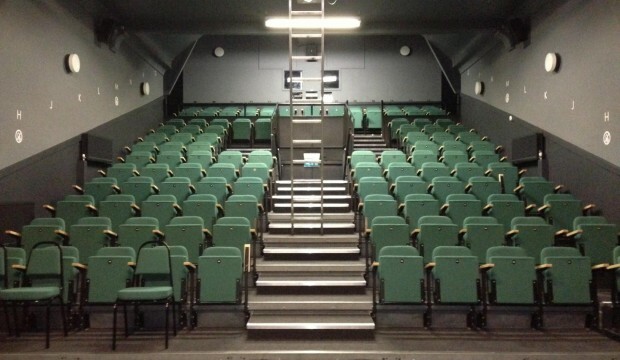 The Spring is the only professional live performance venue and professional museum within Havant Borough. We are also the only one-site museum and arts centre in Hampshire. We work to bring cultural activities and artistic experiences to our community. We specifically focus on working for, and with, the 120,000 residents of Havant Borough, and we regularly extend our reach further into Hampshire, Portsmouth and West Sussex. All strands are delivered across a range of artistic and cultural activities including theatre, music, visual arts, craft, comedy, heritage, dance and circus. The Spring works to ensure these activities and opportunities take place both within the Spring’s building and ‘beyond our walls’ across the Borough.